ERIE, MI (December 23, 2017) – Building on its successful Driven Racing Oil Battlegrounds Bash series in 2017, Butler Motor Speedway will once again host Engine Pro Sprints On Dirt presented by ARP for three dates in 2018. The first Butler Motor Speedway Sprints On Dirt race will be June 9th. The 2nd and 3rd races will be part of the annual Butler Bash on Friday, August 3rd and Saturday, August 4th. The 2017 Driven Racing Oil Battlegrounds Bash series was hallmarked by exciting racing. Chad Blonde picked up the win on June 17 over Ryan Ruhl and Thomas Schinderle. On July 22, Joe Swanson took the lead with two laps to go and won over Jay Steinebach and Ryan Ruhl. 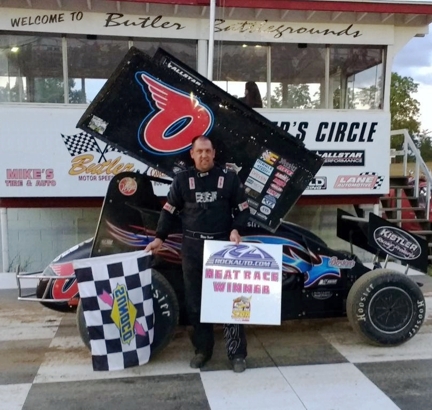 On August 12th , Thomas Schinderle won his first SOD feature after passing early leader Joe Swanson. Swanson held on for 2nd and Butler’s Rookie of the Year Boston Mead finished 3rd. The partnership between Butler Motor Speedway and Sprints On Dirt goes far beyond the SOD races at Butler to ensure a strong future for sprint car racing in Michigan as exemplified in the recent announcement implementing a common rule for the Butler sprint car class and Sprints On Dirt competitors requiring full containment seats in 2018. Butler Motor Speedway has undergone several major changes over the years. One was moving the pit area out of the infield; another was replacing the racy oiled dirt track with the current watered clay surface. When racing begins at the speedway in the spring there will be another change, the track banking will be reduced by about one-third. For more information about Butler Motor Speedway, go to www.butlerspeedway.net and the speedway’s Facebook page at https://goo.gl/csxUkX. To learn more about Engine Pro, go to www.enginepro.com. For more information about ARP, go to www.arp-bolts.com. Follow SOD on Facebook at www.facebook.com/sprintsondirt. Erie, MI (December 19, 2017) – Hartford Speedway will host Engine Pro Sprints On Dirt presented by ARP for five races in 2018. The 2018 SOD Hartford events, all Friday dates, are May 18, June 8, July 6, July 27, and August 31. Sprints On Dirt has been a fan favorite at Hartford Speedway, drawing the best crowd for several years now. Track owner/promoter Tim Dibble’s reconfiguration of the track before the 2017 season has proven to be a big hit, blending perfectly with SOD’s beyond limits format. Fans and competitors alike are reaping the benefits. Hartford Speedway formally became a race track 86 years ago, but there are records of racing there dating back twenty years earlier. The speedway began as the Van Buren County Fair race track before Hartford Motor Speedway was born from a vision of Betty Lue Cross. 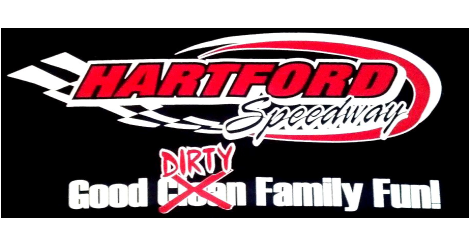 Click here to follow Hartford Speedway on Facebook and check out its website at www.hartfordspeedway.net. To learn more about Engine Pro, go to www.enginepro.com. For more information about ARP, go to www.arp-bolts.com. Follow SOD on the Sprints On Dirt Facebook page at www.facebook.com/sprintsondirt/. ERIE, MI (December 18, 2017) – Another piece of the 2018 Engine Pro Sprints On Dirt presented by ARP season is now in place as RockAuto.com has announced its return as a SOD primary heat race sponsor next season. RockAuto.com’s heat race partnership with SOD, and Engler Machine & Tool’s recently announced partnership, make it possible for SOD to continue rewarding drivers for heat race performances throughout the 2018 season. Typical of SOD’s highly competitive “beyond limits” format, 2017 SOD Champion Steve Irwin, in his Flying Zero, led all competitors with just three RockAuto.com heat race wins last season. RockAuto.com ships thousands of auto parts from over 300 manufacturers to millions of customers worldwide. RockAuto.com has everything from maintenance parts like filters and wiper blades to completely remanufactured transmissions and engines. RockAuto.com carries bumpers, door handles, engine computers, headlight assemblies, carpet and other parts that traditionally were only available from car dealers. To learn more about Engine Pro, go to www.enginepro.com. For more information about ARP, go to www.arp-bolts.com. To follow Sprints on Dirt, visit www.sprintsondirt.com and the Sprints On Dirt Facebook page at www.facebook.com/sprintsondirt/. ERIE, MI (December 15, 2017) – Engine Pro Sprints On Dirt presented by ARP is proud to announce that Engler Machine & Tool is returning as a primary heat race sponsor in 2018. Engine Pro Sprints On Dirt presented by ARP continues to be an innovative leader in sprint car racing and one of only a few sanctioning bodies that pays its competitors for winning heat races; sponsor partner Engler Machine and Tool makes it happen. Tim Engler opened Engler Machine & Tool in 1980. Tim raced winged sprint cars in the 90s, and with his racing roots deep in open wheel racing, Engler Machine & Tool is recognized today for its championship-winning fuel injection systems powering the top names in sprint cars, micro sprints, and midgets. Tim is equally well known in tractor pulling and holds 13 national titles in the sport. Engine Pro Sprints On Dirt presented by ARP has enjoyed a long partnership with Engler Machine and Tool, and looks forward to representing Engler for many more years to come. For more information about Engler Machine & Tool, go to www.englermachine.com. For more information about Engine Pro, go to www.enginepro.com. For more information about ARP, go to www.arp-bolts.com. For more information about Sprints On Dirt, go to the SOD Facebook page at www.facebook.com/sprintsondirt/. ERIE, MI (December 11, 2017) – The tradition-rich Crystal Motor Speedway / Engine Pro Sprints On Dirt presented by ARP partnership marches on for 2018. Since Duane LaCombe scheduled the first Sprints On Dirt race in 1980, Crystal Motor Speedway has been on the SOD schedule every year. The 2018 SOD season opening race at Ron Flinn’s popular speedway is scheduled for April 28th followed by July 14th and September 1st dates. A full grandstand of enthusiastic fans has become a tradition for Crystal/SOD races as has opening the SOD season at Crystal and the Mike Olrich Memorial Race. 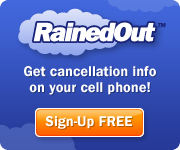 One tradition that will hopefully end, though, is raining out the opening race as happened in 2016 and 2017; just in case it happens again, May 5th has been set as a rain date for the April 28th race. Ohio’s Jordan Ryan won the 2017 SOD opener on May 6th followed by Matt Foos with a 305 motor, and Dain Naida. 2017 SOD champion Steve Irwin took the win on July 15th with Thomas Schinderle 2nd and Shawn Valenti 3rd. Ryan Ruhl won the Mike Olrich Memorial on September 2nd over Jay Steinebach and Brett Mann. More information about the 2018 Engine Pro Sprints On Dirt presented by ARP schedule will be released in upcoming announcements. For more information about Crystal Motor Speedway, go to www.crystalmotorspeedway.com. Go to its Facebook page at http://www.facebook.com/CMSpeedway/. For more information about Engine Pro, go to www.enginepro.com. For more information about ARP, go to www.arp-bolts.com. Follow Engine Pro Sprints On Dirt presented by ARP on Facebook at https://www.facebook.com/sprintsondirt/.